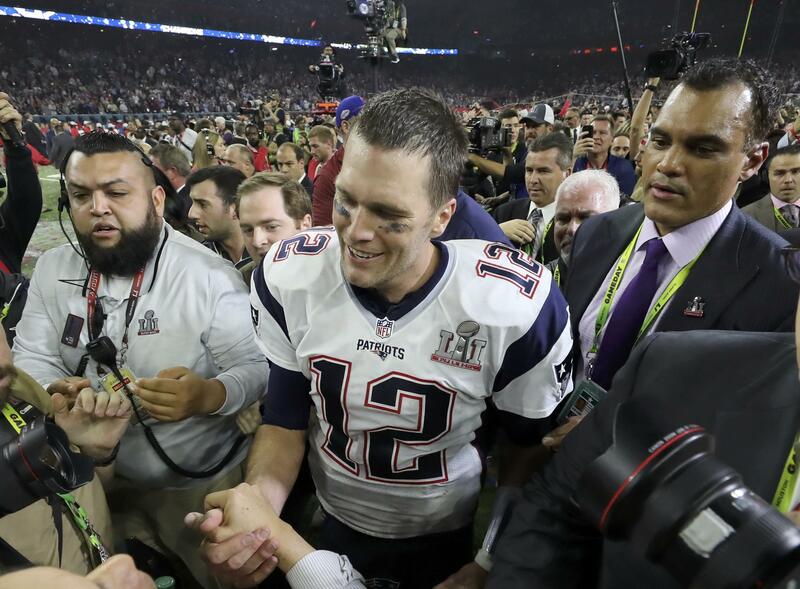 HOUSTON – Tom Brady says the jersey he wore during the Patriots’ stunning 34-28 overtime victory in Super Bowl LI is missing – and he thinks someone stole it. “There’s no telling how it happened but, presumably, it occurred during the hectic nature of the Patriots celebration, an overtime victory that had a wild finish,” writes CBSSports.com’s Will Brinson. During the locker room session following the game, NFL.com reporter Dan Hanzus followed Robert Kraft as the Patriots owner handed out cigars to his players, Brinson reports. Kraft made a special trip over to see his quarterback and when he got there, Brady, after getting a couple of kisses on his cheeks from the owner, informed him that he no longer had his game jersey. “Somebody stole my game jersey,” Brady said. He then pointed where it was and said, “Yeah, right over there” appearing to wonder how someone just walked out of the locker room with it. “Well we’ll have to look online,” Kraft joked. “If someone did actually steal the jersey, let’s hope it does appear online (as Kraft noted) or, even better, security cameras captured the thief’s identity -- and some justice is served up,” says Brinson.